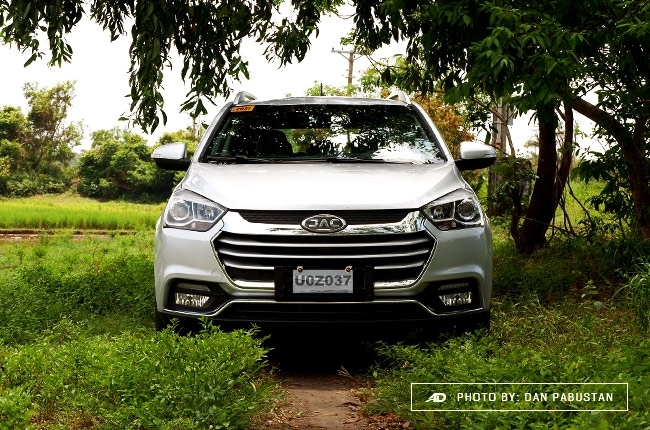 We took the JAC S2 up the winding roads of Bataan and was not disappointed by how it performed. Okay, let me be straight with this one; the JAC S2 looks good. It’s well composed, it’s compact and looks like a car with a hefty price tag, which is even better because the actual price isn’t going to be your problem. 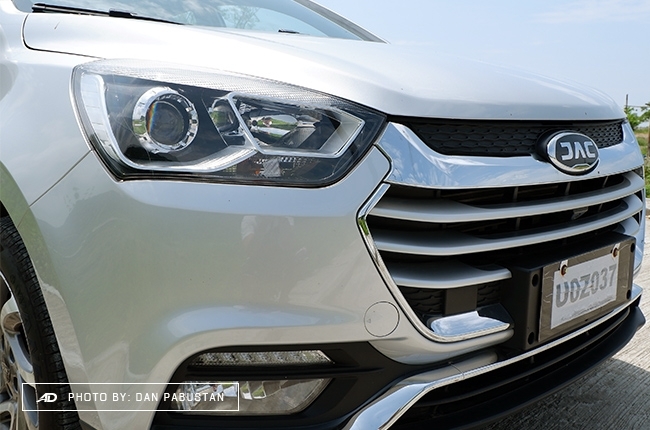 These are just few of the things that make this subcompact crossover an underrated fine-looking crossover, and these are why I was excited to drive the car when I got it. 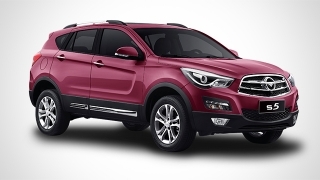 When JAC launched its latest fleet in March this year, the SUV range stood out, well, to me at least. The design was good enough to tickle my taste buds on car designs. Looking at it as if it wasn’t a Chinese car fleet isn’t a new thing anymore. Chinese car manufacturers have already learned to adapt, thanks to partnerships with other brands left and right. 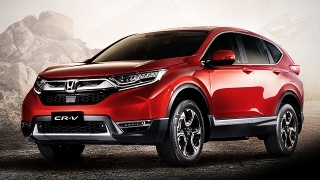 The day when the world looks at Chinese cars on the same level as with American, Japanese, and European ones may be a possibility – and this is reinforced by modern modern-day designs like the ones seen on the S2 and the rest of the S model range. Fortunately, JAC lent us the S2, the CVT one, to get even closer to it and I was the one tasked to take it out and get intimate with it. I managed to drive it all the way up to the winding roads of Bataan and to my surprise, it did pretty well. The S2 and I had some good times together, which is surprising as I was expecting less than what I actually got. Now, let me tell you the rest about the car. Upon receiving the car, the first thing I did was to do a 360-degree inspection. The silver S2 was a great sight, to begin with. 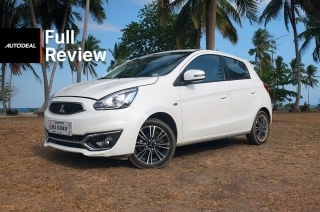 It has this illusion of having low ground clearance despite the 200 mm measurement on paper, it has a swept-back roofline, and it’s got the looks. On the front is a pair of slightly large headlights, accentuated by a chrome slat that holds the emblem atop the wide hexagonal grille. There are also huge trapezoidal fog lamps below, plus the daytime running light (DRL) strip. Another thing I like about it is the good-looking wheel design which features two-tone 16-inch alloy. And, did I already mention that there are chrome strips outlining the bottom section of the windows. They look good on the silver body color, however, I’m not that sure whether it will still do on other colors. The chrome accent continues all the way to the rear bumper, but it’s nice that they aren’t that flashy to be irritating. Although the car looks good on the outside, the design still lies on a thin boundary separating good and bad criticism. Looking fine is awesome, but let’s admit it, the design isn’t compelling enough to stick in the mind. It’s as if I’ve already seen one before, only with a different badge. But that’s not entirely a bad thing, though. Don’t get me wrong, exterior design is just a fraction of the whole car; let's see where riding comfort and experience get it. Leather seats greeted me as I entered the cabin. I was expecting a distinct smell commonly found inside a China-made car but this one doesn’t have it. If it did, I can assure you that it’s so subtle, you’d begin doubting if your nose is still working properly. 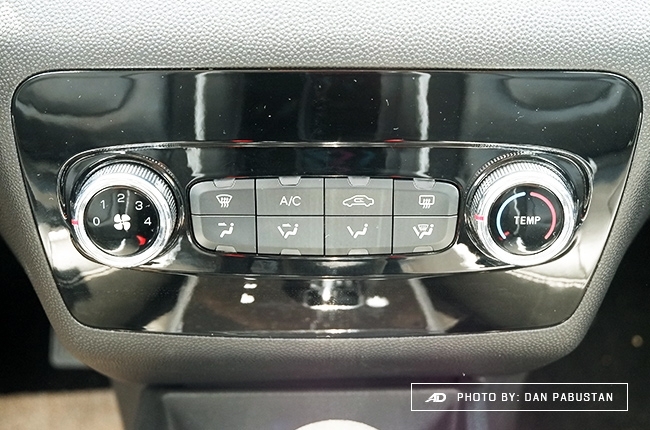 Air-conditioning is also impressive as the cabin immediately gets cooled off even under the afternoon sun. 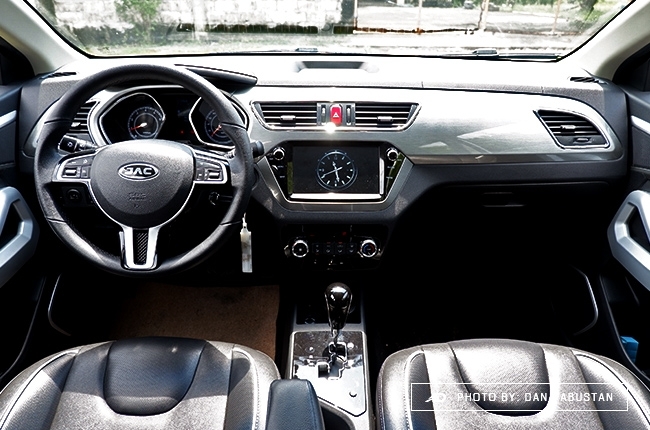 Controls, dials, and the entertainment system with its seven-inch touchscreen display are also well-organized, so it won’t take long before you get used to it. Textured plastics are found around the cabin; on the center console, dashboard, and door panels. The good thing about it is that on each of those areas, there is always something to accompany the inexpensive material. 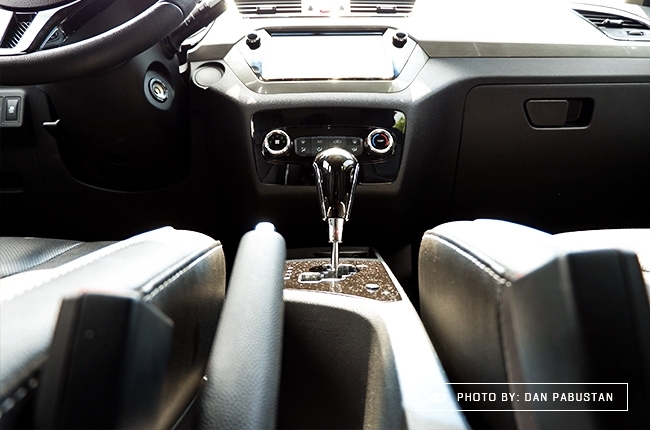 On the center console is a faux wood board on the shift stick, the dashboard has this aluminum-like slab that also houses the A/C vents, while the door panels get matte silver plastic accents. In addition, the S2 has an undeniably ample trunks space even when the rear seats aren’t folded. 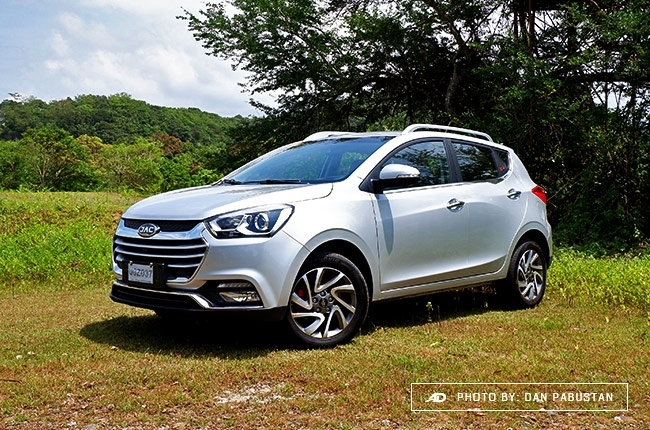 In fact, it even has a bigger cargo space than the previous-generation EcoSport. 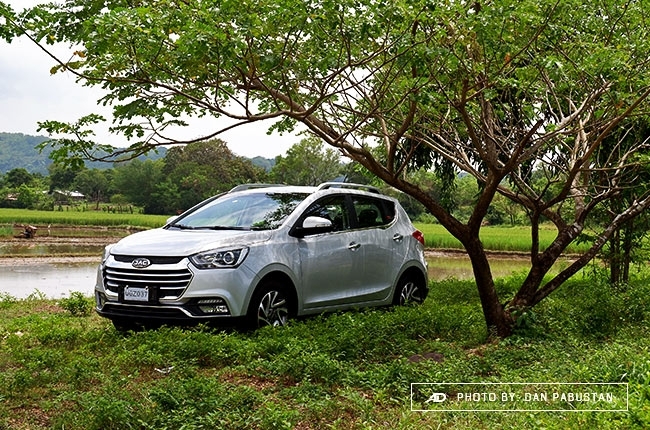 The S2 has 420-liters of trunk capacity, compare that to the EcoSport’s 335-liter luggage area. The cabin also offers great space for the passengers as there are good shoulder and legroom at the back. A guy who’s 5’7 was able to fit in comfortably and was able to get out without compromises or whatsoever. 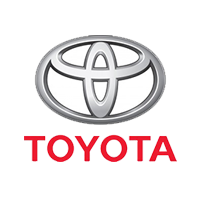 Now, onto the real deal; the true reason why I’m here, why you’re reading this – the driving experience. Situational. It’s a word that I found best to describe it mainly because of the feather-light steering wheel. To be honest I was surprised at how light the steering was. Not to exaggerate but when you are driving it around the village for, let’s say, a couple of minutes you’d feel as if you’re just playing a racing arcade game at Timezone. It’s fun to drive around the village and city but speed varies and handling should complement it. I said situational because super light steering could be a good and bad thing depending on how fast you’re going. When you’re in the parking lot, a super light steering will make your life easier so it’s fine. However, on a highway, where you’re traveling at an average speed of 90 km/h for longer than 20 minutes, it could be a scary thing. Trust me, I was traveling 95 km/h on the expressway when I had to drive around a pothole. A slight maneuver gave me cold sweat after overwhelming myself of how quick the car was able to comply on my command. That’s how light it was to me. Apart from the handling, I can’t recall other major problems I had with the way the car feels like. The suspension’s pretty decent, although there’s part of it that needs improvement. The way it currently is shouldn’t be a problem but things could leave the frame of decency once the car’s full of passengers and luggage. There is very minimal body roll, which didn’t surprise me as the car stands close to the ground. With a ride height like that plus its light steering, this car is undoubtedly agile and quick on curves. Meanwhile, you won’t feel short with acceleration as the car gives good feedback on every gas pedal input. 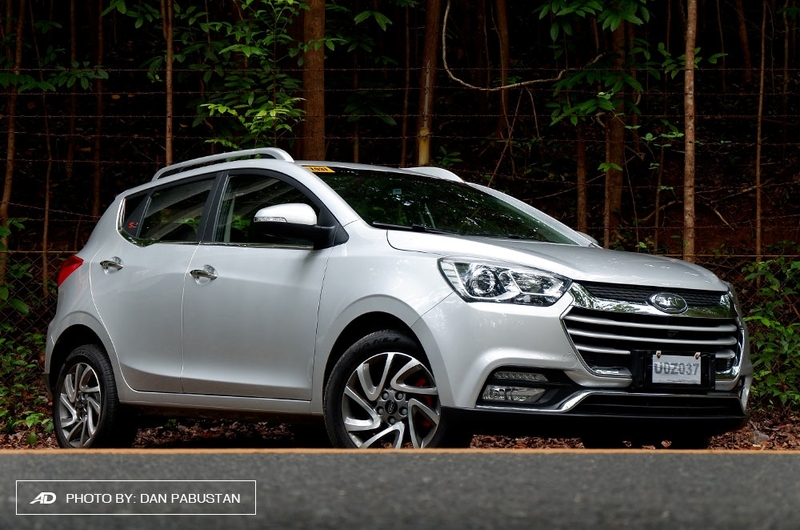 Technically, it has almost the same amount of torque as with the Ford EcoSport with the dimensions being the only difference. The S2 is considerably smaller and lighter compared to its more popular competitor, which explains why I felt like having adequate overtaking power. The 1.5-liter VVT engine does 111 hp and 146 Nm of torque, way behind other nameplates in the class. 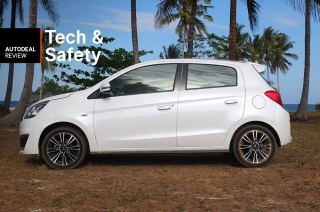 But, its size is where it’s able to compete in terms of performance and driving dynamics. The S2 is equipped with a CVT because JAC believes it is the best transmission due to it being efficient. Now that efficiency’s been laid out on the table, the JAC S2 performed well for me. Driving it on the highway with an average speed of 90 km/h gave me a reading of 15.4 km/L. Still, it’s pretty impressive but not close to some of its competitors in the class. 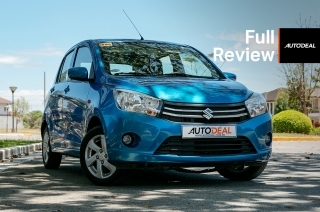 Aside from being efficient, the CVT also gave the car a smoother ride, as there were no downshifting needed to get the best rev range, which is observed when overtaking. 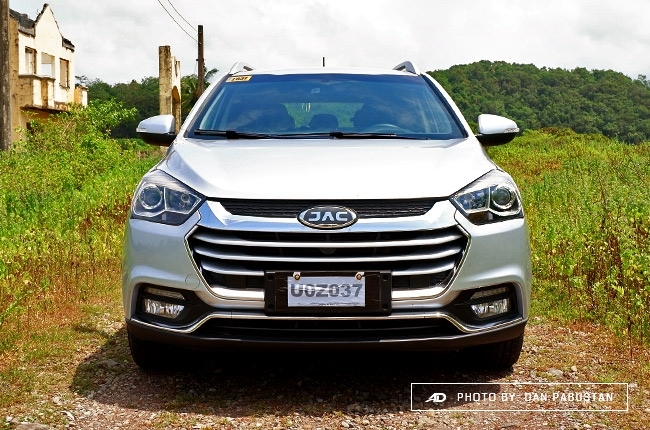 Though the time I spent with it was short, the JAC S2 still gave me unexpected experiences. 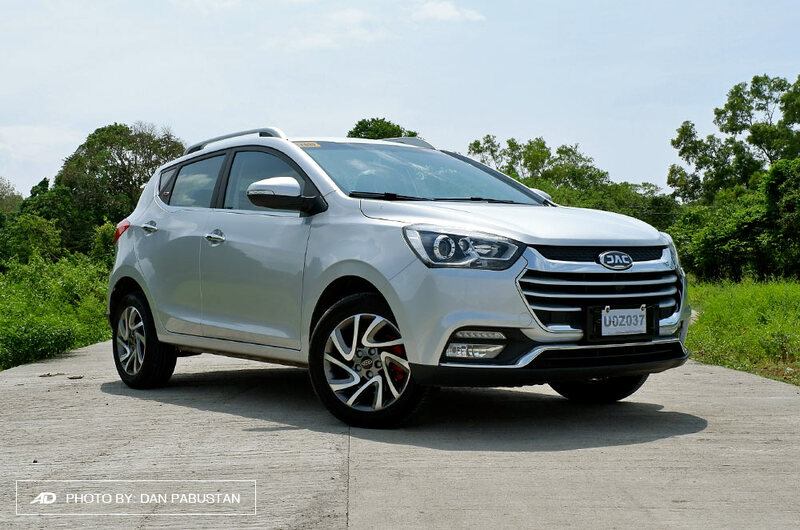 For a crossover priced at P770,000, I could definitely say that it isn’t bad, as it’s among the cheapest tag in the subcompact crossover class. With that price, you already get dual front airbags, ISOFIX-integrated seats, leathered-out interior, and pretty-looking car. 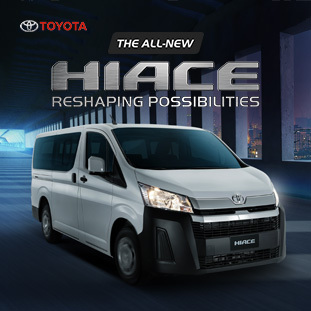 If, however, you prefer an even lower price tag than that, you may get the manual variant at P720,000. Considering that JAC is still a young company in the country’s automotive scene, I can understand why most people stay away from it. First of all, there isn’t much material out there to take them closer to the vehicle’s selling points. Aside from that, the cars are still rarely seen on the road so for a segurista’s point of view, I understand that it’s hard. However, consider giving it a try and see where it gets you. Just let the car show you what’s beneath the metal sheet and maybe you could find something interesting about it. Of course, there are a lot of things that need improvement on the S2, but the potential is already there, quietly hiding until someone dares to discover it. 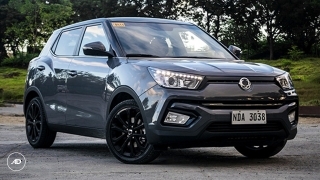 I think we all just have to give it some time before we can see it level with the bigger nameplates in the segment like the EcoSport, Trax, Juke, among others. 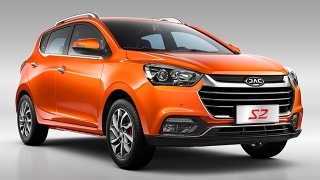 Hi, I would like to receive a financing quote for the JAC S2 1.5 VVT CVT, thank you.